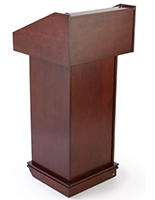 This lectern cover offers superior wear as well as stain and liquid spill resistance. 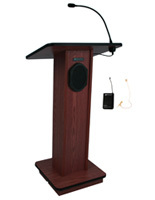 The podium protector is made from lightweight but durable PVC-coated 600x450 denier polyester fabric. 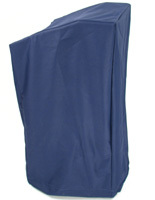 The blue fabric lectern cover resists abrasion, punctures and tears. 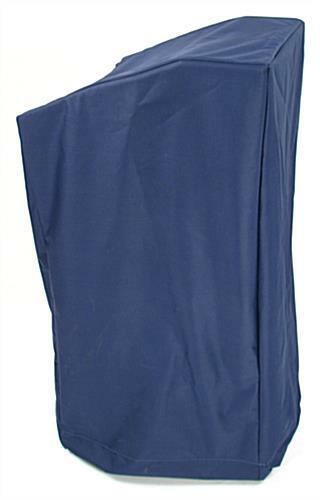 Each 0.60mm thick pulpit wrap is easily washable with soap and water . 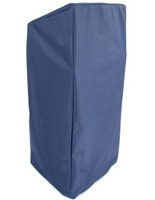 This blue lectern cover protects expensive freestanding podiums. 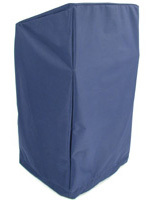 The durable polyester pulpit cover is a superior way to keep freestanding fixtures safe from damage, dust and dirt when not in use. 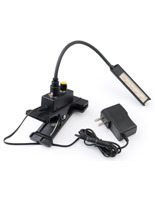 26.5" x 50.5" x 23.8"